While much of a change management practitioner’s job revolves around applying a methodology, the change management resource or team also has a significant role as an enabler of the other roles in change management. Here are tips for working through others to make change management and the project more successful. As the main person or team responsible for applying a change management methodology, a change manager conducts readiness assessments, segments impacted audiences, crafts the change management strategy and builds the customized change management plans that are needed to support the unique change and the specific groups being impacted by the change. In times of change, executives and senior leaders fulfill the role of sponsor. Prosci's benchmarking research indicates that the active and visible involvement by senior leaders is the greatest contributor to overall project success. 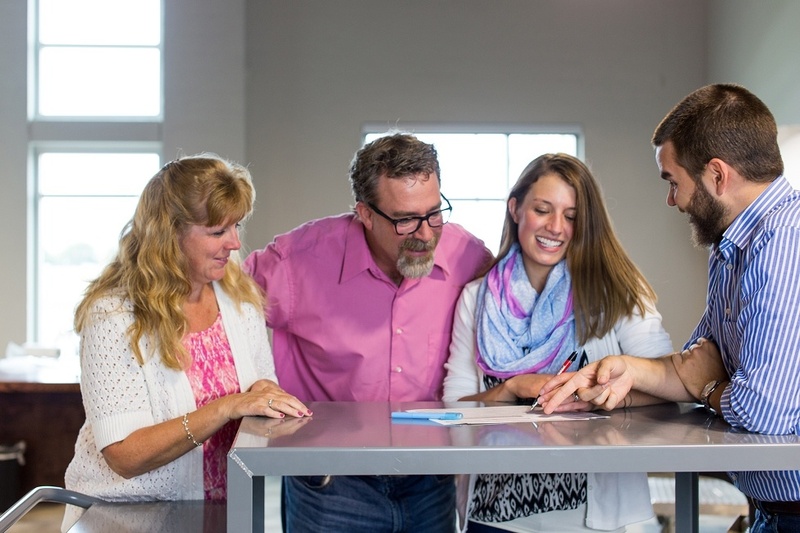 In times of change, middle managers and supervisors are the closest to the employees who must adopt and utilize the solution resulting from a project or initiative. This group is a key ally during change and enables the leveraging of change management activities for large-scale change. The project team is tasked with designing, developing and deploying a technical solution through a project or initiative. They primarily manage the activities and resources required to install a solution, but they also play a key role in change management. Project support functions provide specific experience and expertise to support a particular facet of change. Change management can provide an overarching framework and individual orientation to enhance the efficacy of these support functions. Working through others is a challenge, but it is critically important for change management practitioners. While they are often the developer of change management plans, it is the managers, supervisors, senior leaders and executives who must be the face and voice of change and execute on those change management plans. This role of enabler is an important perspective for change management practitioners and for the managers and leaders throughout the organization. 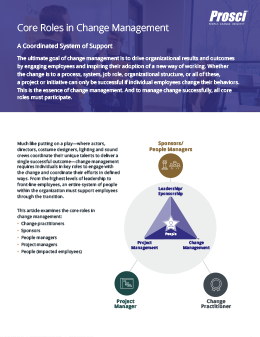 From the highest levels of leadership to frontline supervisors, managing change well relies on a coordination of people all moving in unison and fulfilling unique roles.